Learn about global trends in sustainable tourism and sustainability best practices. The Global Sustainable Tourism Council (GSTC) Sustainable Tourism Training Program (STTP) offers practical insights and effective steps to help improve sustainability practices. The STTP strengthens awareness of sustainable tourism in destinations around the world. The intensive and interactive learning experience is a valuable training opportunity for professionals in tourism, hospitality, destination management and marketing, and sustainability. 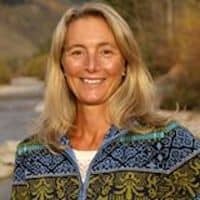 The training will be led by GSTC trainer and Walking Mountains Science Center Founder & Vice-President of Sustainability Programs, Dr. Kim Langmaid. Gain in-depth understanding of the GSTC criteria that applies to destinations, tourism management organizations, hotels, tour operators, and hospitality-related businesses. Learn to prioritize and make informed decisions on how to implement sustainability practices within businesses and destinations. Understand the global baseline standards for sustainability in travel & tourism, and the roles of accreditation and certification in advancing and mainstreaming sustainability throughout the tourism industry. Two-days of intensive training, opportunities to meet professionals and build a growing network in sustainable tourism and optional social gatherings. As part of your registration, you will receive a Certificate of Completion confirming your attendance in the class. After completion of the class participants will be eligible to take an online exam to earn the GSTC Certificate in Sustainable Tourism. Exam and Certificate = $75 (this fee will be collected after the class upon registration for the exam. You will receive a GSTC Certificate in Sustainable Tourism that will printed and mailed to you if you successfully complete the exam). There are STTP need-based discounts available to (a) Students who are currently enrolled in a university or college and are pursuing a degree in a field relevant to sustainable tourism, or (b) Professionals who demonstrate genuine needs (e.g. micro-enterprises, small local community organizations, those based in an emerging destination). The discount value is 40% off the regular registration rate as published on each training class registration form. Click here for more information on STTP scholarship requests and to fill out the application.